These are not meant to be finished art pieces - I call them my ‘doodles’ but they are used to illustrate ideas in my articles or conference presentations. Here are a few - will look and find the rest at some point! This is a much debated term in computer science education. What does it really mean? For many, they think all we really need to teach is coding when we say ‘Computer Science’. 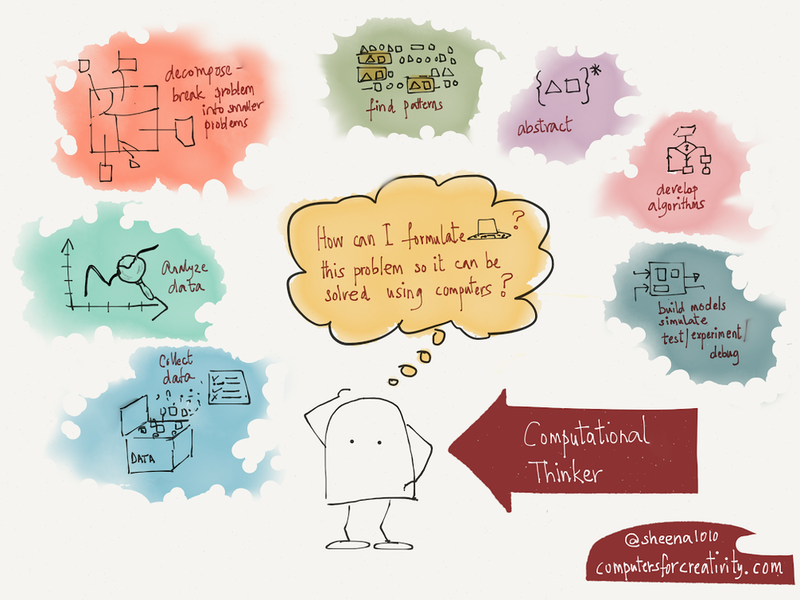 Computer Science is much larger - my doodle shows you only a few of the topics in computer science, with coding being one of them. 3 ways to make sure your programs are engaging for all students - creativity, integration and collaboration.